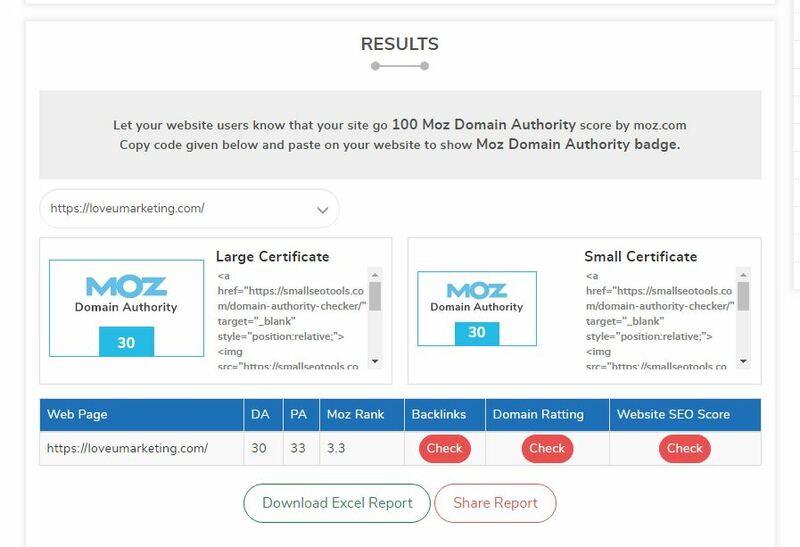 Domain Authority is a metric designed by MOZ to measure the domain score. Domain Authority can range between 0 to 100, where 0 mean the lowest and the 100 mean the highest score. Further, the higher the domain score, it is more likely you will rank higher in the search engine. Hence, online entrepreneurs and bloggers always wish to increase the domain authority of their respective website or blog. If you are looking for the same thing, then this article will help you. Hereby, we will tell you how to increase domain authority score. The below article will mention 7 simple steps to increase domain authority of your website or blog. 1.2 How Domain Score Is Calculated? But, before starting with the article, let us first know the domain authority of your website using free domain authority checker. There are many online bulk domain authority checkers that allows you to check domain score for free and paid as well. For example, Smerush, Ahrefs, Moz, Small Tools, SEO review tools, etc. You can use any of this website to check out the domain and page authority score of your website or blog. We are using Small SEO Tools to check the domain score of our blog. From the above snapshot, it is clearly seen that the domain and page score of LoveUMarketing blog is 30 and 33 respectively. We know you are wondering, What is Page Authority score? Like Domain Authority score, Page Authority is simply the score of the particular web page. In simple words, page authority score will show the score of your particular blog post whereas the domain authority score will show the overall score of the entire domain. Remember, if domain score is higher then it does not mean your page authority will also be higher but if page authority score is higher then it will definitely improve the domain score of your site. Next, the page score will differ from page to page but the domain score will remain for the entire domain. How Domain Score Is Calculated? Next, to understand how to improve the domain authority of your website, it is very important to understand how this domain authority is being calculated? The Domain Authority is measured using an algorithm designed by MOZ. The algorithm will calculate the domain score by evaluating multiple factors like backlinks, web traffic, domain scores of linking sites, etc. Considering all these factors, the MOZ algorithm will calculate the domain score of the given website or blog. Note: Recently, in March 2019, the MOZ has introduced a new algorithm called SEO 2.0. 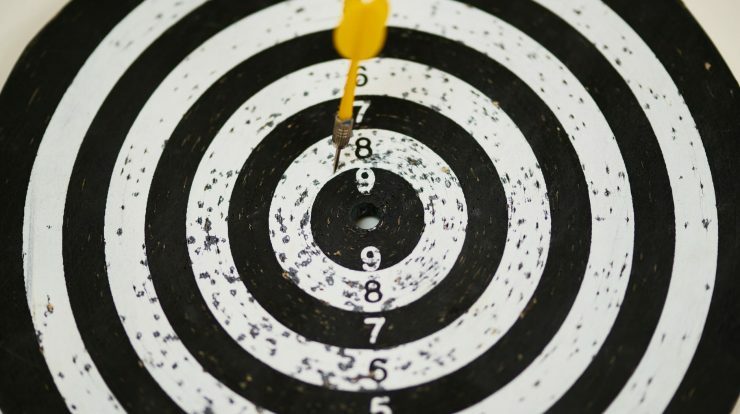 According to MOZ, this new algorithm will give more accurate results of domain score. Now, if you want to increase the domain authority of your website then you need to first improve all these relevant factors. 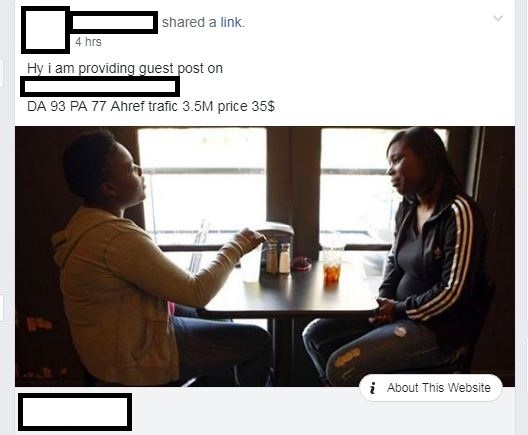 So, What are we waiting for? Let’s begin the various actionable tips to increase the domain authority of your website. Remember, the algorithm is designed in such a way that it would be easier to rank your domain from 30 to 40 rather than 40 to 50. So, accordingly, you can decide how difficult it will be for you to increase the domain score of your site. This is the first and the most important tactics for improving domain score. Trust me, this factor is enough to increase your domain authority provided you build a good number of high-quality backlinks for your site. Next, a question may arise, Whether a quantity or quality of backlinks, Which one is important? To get the answer to this question, we strongly suggest you read the below article. At last, if your website is affected by the Negative SEO or you have bymistakely created a bad toxic backlinks for your site then you can follow the process mentioned below in the given article to remove the low quality backlinks linking back to your site. How To Disavow Backlinks In Google Webmaster? 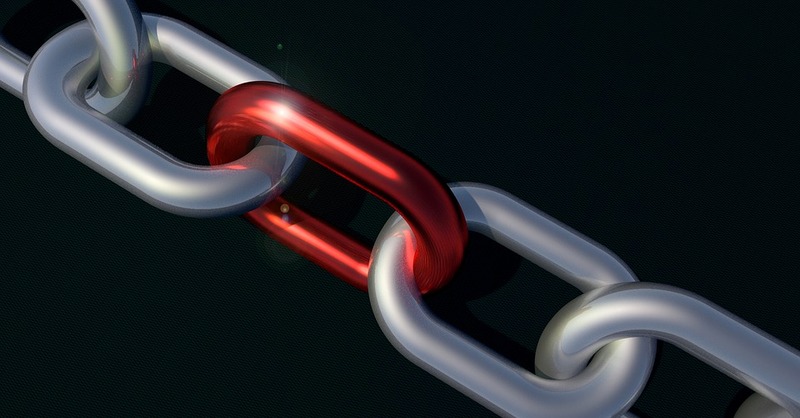 Internal Page linking is as important as the backlinks. We strongly suggest linking back your internal pages while writing the blog posts. This is because Google and other search engines will consider this linking as a backlink for your site and thereby pass the link juice internally. Whenever you write a new blog post, do not forget to link back your old post. For example, at the starting of this article, we have linked back our article written on SEO tools. Hence, this blog post will act as backlinks for the linked article. Trust me, this is the easiest method to increase domain or page score. This is because, unlike normal backlinks, here, in this case, you have the control of both the anchor text and the website from which you are trying to build a backlink. Hence, you can optimize Internal page linking and thereby get more benefits out of it. At last, Internal Page Linking is also one of the important factors for improving the page views and thereby decrease the bounce rate of your website. The next tactic in the list is Search Engine Optimization. Optimize your website for various search engines and it will automatically improve the domain score of your site. Always ensure you have implemented the On-Page SEO techniques properly on your site. Below are a few examples of these On-Page SEO techniques. Optimize your uploaded Images by adding an Alt tag to it. Ensure you have done proper keyword research before writing the article. Ensure the focus keywords is included in the title and first paragraph of the article. Write SEO optimized catchy headline for the blog post etc. Remember, if you take care of the above-given tips then it will definitely optimize your website for various search engines and thereby its increase domain authority of your website. 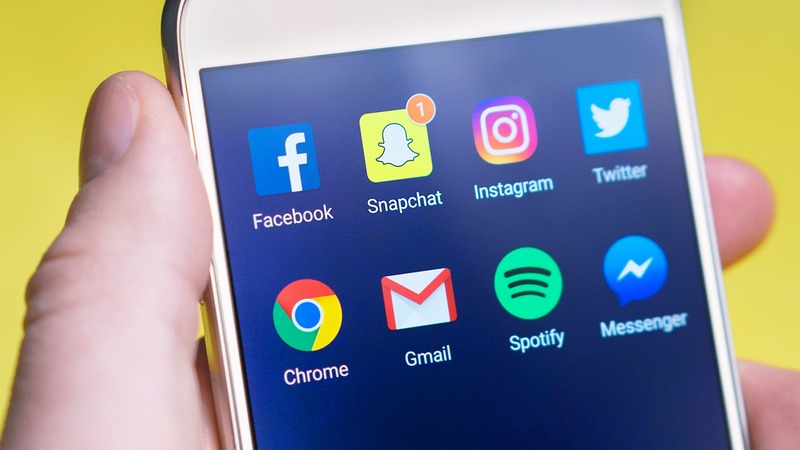 Hence, an article with a higher number of social signals has more chances to rank higher on the search results and thereby it will improve the domain score of your website. We strongly suggest using IFTTT for sharing the new article on various social media networking sites automatically. Next, also ensure that you keep on sharing old articles periodically on social media sites. This will not only help you in driving good traffic but also increase social signals of the given article. An online user will like your blog if it satisfied the below two criteria. It publishes consistently new blog posts. The published blog posts are rich in good content. Just imagine, you visit my blog and finds that the last blog post added to my blog was one month back. How do you feel? Will you come back to my blog? Of course. Your answer will be a big No. You will not like the blog that has been not updated for a long time. Simply updating the blog post will not help you. Remember, the content should be good enough and useful also. An online user will not like the website with low-quality content and published blog posts irregularly. Even Google doesn’t like such kind of websites. Next, if Google dislikes your website then it means your domain authority will also get impacted. Hence, it is very important to maintain the quality of blog and blog posts as well. Make sure both Google and Oline Readers like your blog post. Loading speed of your website is as important as your backlinks are. A website with good loading speed will not only rank higher in the search engine but also has a good domain score. Trust me, if you improve the loading speed of your website then it will definetly increase the domain authority of your site. You can check out the below article to learn how to improve the loading speed of your website. A mobile friendly website is no longer an optional but instead its manadatory now. Accordding to one research, the mobile internet traffic as compared to total internet traffic is now more than 51%. Hence, a mobile friendly site is very important if you wants to drive good number of users to your site. Next, a mobile friendly website is also directly related to your domain score also. Trust me, a mobile friendly website has a good domain authority as compared to non-mobile friendly website. There are many website to check whether your website is mobile friendly or not? But, we strongly suggest to use Google Mobile Friendly test to identify the same. 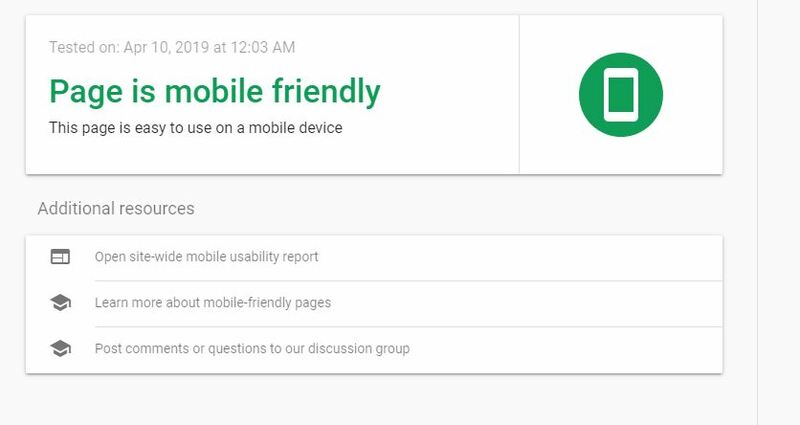 All you need to do is simply visit the Google Mobile Frinedly checker website and paste your website URL and hit ‘Test URL’ option to get the results (as shown in the below attached image). Pro Tips: We strongly suggest enabling AMP pages on your websitge. AMP (Accelerated Mobile Page) will load your web page faster. Domain Authority of your website will gets improved provided you optimize your website properly. A website with good number of high quality backlinks and highly optimized SEO will defintely have good domain scores. But, here it is also important to note that, this domain score is measured using alogorithm designed by MOZ. This metric does not have any relation with the Google and other search engine. For Google, it does not matter whether your website has a good domain score or not? But, this does not mean you should not focus on improving your domain score. Though this is not related to Google and other search engines but still it was found that there is an direct realtion with the domain score and the website ranking higher in the search results. In simple words, it was found that the website ranking higher in the search results are having higher domain authority compared to other websites. Next, domain authority score is widely used metrics to know the ranking strenght of your website. Professional SEO consultants are using this metric to take various decisions like Guest Posting, Creating Backlinks etc. Just check out the below attached image. The person is asking specially for DA 30+ for publishing guest posts. Hence, Domain Authority is widely used metrics in SEO Industry and it is very important to increase the same if you really wants to build high quality successful website. At last, if your domain score gets decreased then please do not get panic. A decreased domain authority can be recovered following above steps. The same steps will be applicable if in case domain authoriy of your website is continously of suddenly start decreasing. next, trust me, the above tips will definetly helps you in improving domain score of your website. Feel free to contact us or share your message in the below comment box if you face any problem in understanding the any of the above technique. We will be really happy to help you. All the Best.